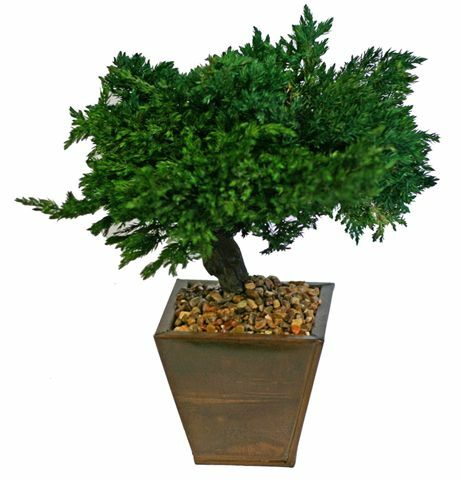 Neither plastic nor silk, this preserved bonsai tree has real foliage and a real wooden trunk that was carefully handcrafted and preserved to protect its natural fragrance, color and texture indefinitely. No watering, trimming or maintenance is required. With its timeless beauty evoking a feeling of nature, this accent piece accommodates any architectural setting. Our one-of-a-kind preserved bonsai is planted in a traditional glazed imported ceramic container. This is the ultimate in environmental control.